Warning: Run Over The Wrong Russian, And You Will Get Shot At. Three Times! Eastern Bloc countries are awesome. Fact! In the last month, we've seen a Russian trucker smash through his windscreen and walk it off, a semi-inducing YouTube channel called BlondDrive.tv and the standard 'Horrific Russian Crash Compilation' video. NOW, however, Russian dash cams have well and truly upped the ante! 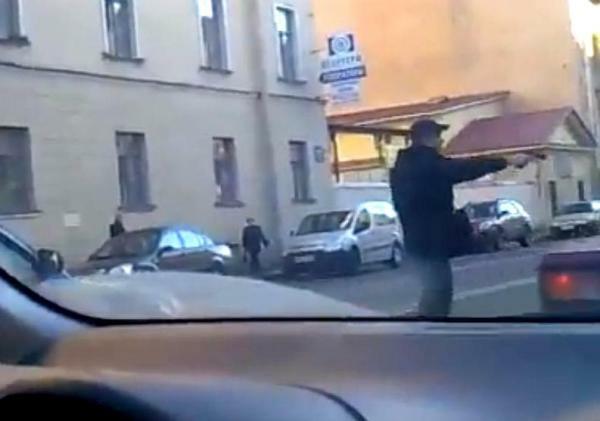 Watch below where you'll see a Russian motorist's car get shot at three times because he f**ked with the wrong guy. Amazing.